Main Industries routinely employs the latest technologically advanced equipment to satisfactorily accomplish surface preparation. 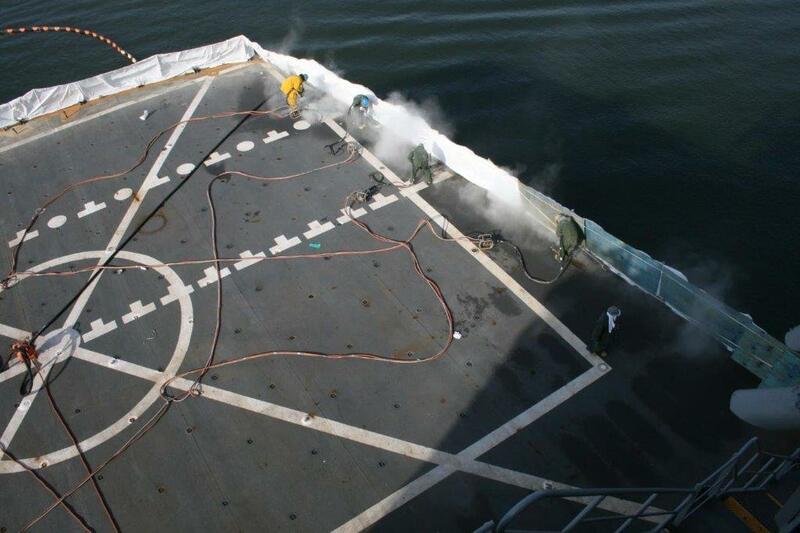 Due to environmental concerns associated with abrasive blasting, most exterior surface preparation is accomplished utilizing our well maintained UHP waterjetting equipment including our fleet of self-contained robotic hull blasters. 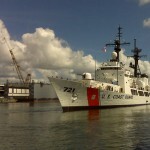 Main owns ten (10) UHP pumps and four (4) self-contained automated robotic hull blasters. Main has extensive experience in accomplishing underwater hull and freeboard preservation projects, as well as superstructures, masts, intakes, uptakes, bilges, cranes etc., utilizing this advanced process. A typical job for a Main Industries waterblasting crew includes preservation of a Ship’s freeboard, underwater hull, and superstructure. 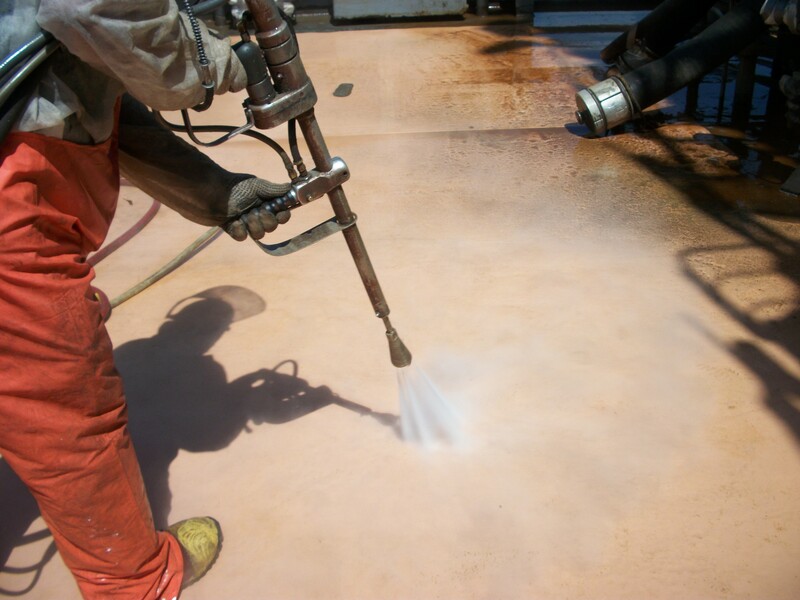 Main will remove all previous coatings by preparing the substrate to the specified standard. When our robotic UHP units are used, all residual paint chips are collected through our closed looped system. Filter boxes strain paint chips from waste water and are ready for proper disposal. Main then applies the specified coating systems. For example, most underwater hulls receive a five coat system. These efforts are usually accomplished during an aggressive dry-docking schedule and can be accomplished simultaneously with interior tank blasting.